Information-centric networking (ICN) has emerged as a promising candidate for the architecture of the future Internet of Things (IoT). ICN provides unique and location-independent content names, in-network caching and name-based routing. Consequently, locating the demanded device or content is one of the major challenges in ICN-based IoT networks. 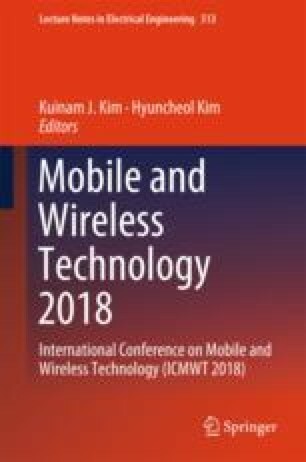 In this paper, we propose a BFH2M2: Bloom Filter based Hierarchical Hybrid Mobility Management that works in IoT with Edge-Fog Cloud architecture. The proposed BFH2M2 uses the hybrid location scheme that combines direct location with indirect location schemes depending on a moving device characteristics. Also, BFH2M2 uses time-based location update mixed with geographic-based location update, and it uses various Bloom filters: counting Bloom filter (CBF), mapping Bloom filter information base (MaBFIB) and attenuated Bloom filter (ABF) as data structures to effectively store and query the location and routing information of a node name. The performance of BFH2M2 is evaluated through an analytical model. This paper was supported by research grants from Daegu Catholic University in 2017.